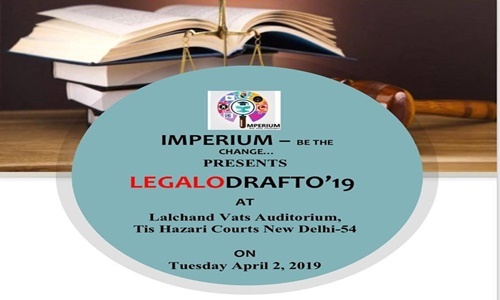 Imperium- be the change is organising Legaldrafto, a Seminar on Legal Drafting. Eligibility: All students, scholars and researchers interested in drafting of legal documents. Queries can be addressed to Shivani Garg (9650514357), Kaustubh Khanna (9643626105), or Vidhi Bhutani(8130930916).